craft, mindset, interviews, tips and more. 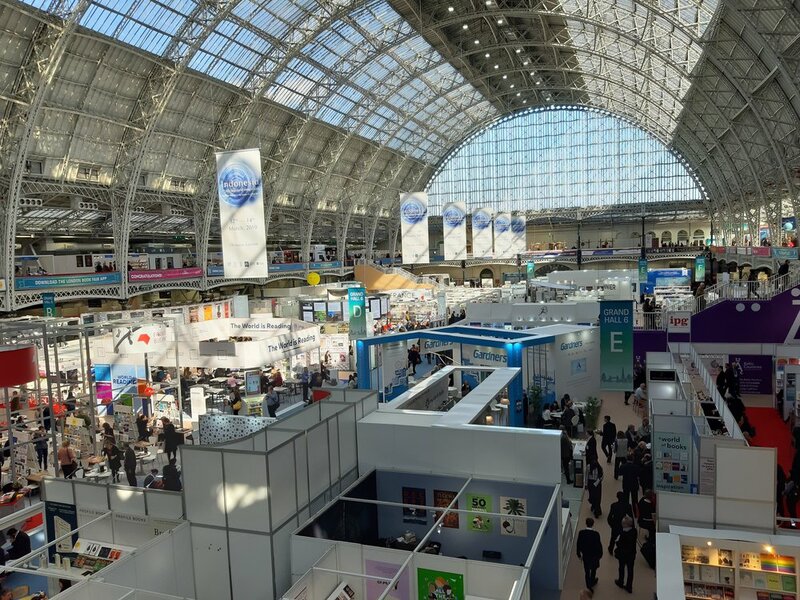 There’s not a lot to celebrate right now in the British political scene, so as I write this post about my visit to last week’s London Book Fair the word that comes to me and comforts me is this: alliance. I could say a whole lot more about politics but I am going to accentuate the positive. The day I spent at Olympia was a positive one in every way. Reason 1: Recognition. It was so good to get back to the London Book Fair for the first time in a few years. I first visited in 2012 when my overwhelming feeling about it was of being a stranger in a strange land, no matter that I was a published author. LBF was not, after all, created for authors. It is a trade fair and as such it’s all about publisher promotions, negotiations and deals. As an author (unless you’re a big name and the biggest names are awarded ‘days’ when they are wheeled out to the book trade public), you feel like an invisible cog in a very big wheel that’s capable of turning without you, thank you very much. Reason 3: Buzz. It is exciting to enter a hall like a nineteenth century railway station, gaze around at the publishers’ stands and the lines of posters, see the trade names we grew up with, hear the hum of conversation, watch people stride past, mobile phones to ears, wheelie-cases trailing. Self-important and self-satisfied, a lot of it, yes, but still, it’s alive with action and conversation. I find that invigorating. Reason 4: Opportunity. Any writer, whether aiming for traditional or independent publication, needs to be informed. You need to tap into how the industry really works. Visiting a book fair helps you understand that industry better, which increases your chances of being able to approach publishers in the right way (not, by the way, by tugging their sleeves at the Fair, without appointment or preparation!) Listening to talks, getting into conversations – who knows where it may all lead? Reason 5: Connection. Opportunities come from the connections you make. More than that, true friendship and a sense of community arise when, as I did back in 2012, you meet people in person whom you may have known before in the digital world. Or you are introduced to new contacts. You realize that as a writer you don’t need to be alone. Your challenges are their challenges. Your successes are celebrated. There are shoulders to cry on. There are teams cheering for you. Reason 6: The Alliance of Independent Authors. 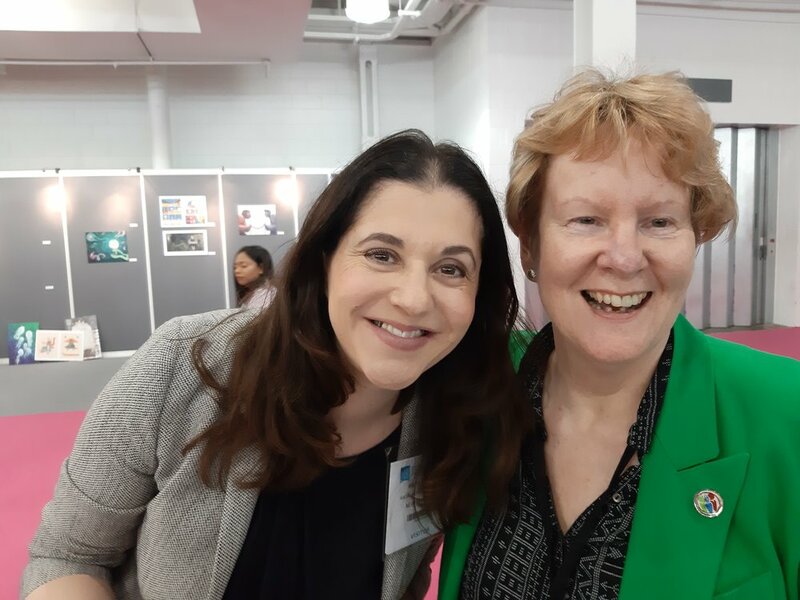 In 2012, what led me to LBF was the amazing Orna Ross, who had just set up ALLi as a non-profit organisation to help writers understand the industry and make their independent mark within it. 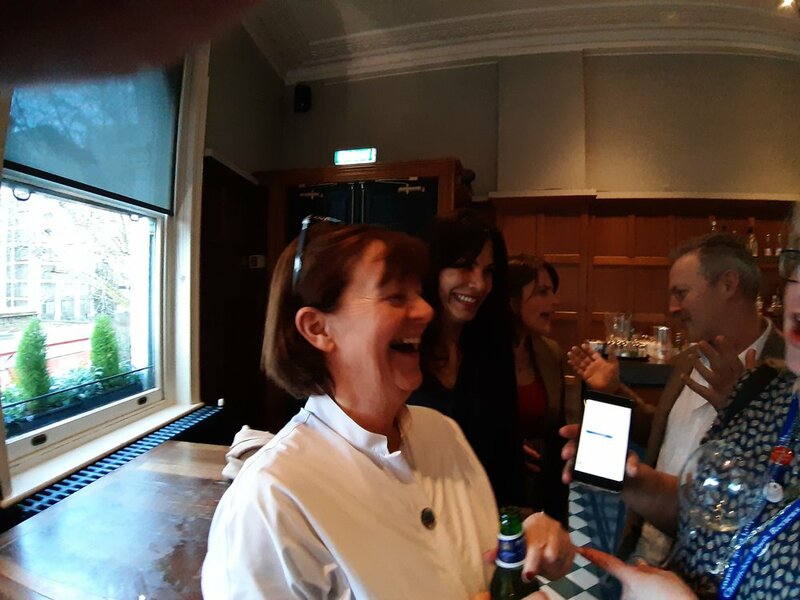 I have been a member from the start and am in awe not just of Orna, but of all the other ALLi members who have contributed to its growth as a respected powerhouse of information and support. During LBF I hung out with my ALLi friends and there was a fantastic ALLi party afterwards. Fellowship, shared stories, plans for the future, a total sense of vibrancy. Buzz, connection, opportunity. Book love. Writing love. Keep taking your mind off the political horrors! Keep writing, buying and reading those cheap treats! Maybe I’ll see you at LBF 2020? Want to know more? ALLi held an inspiring online digital conference last weekend and anyone can listen to the huge range of sessions and presentations until 25th March: follow this link. ALLi members will have lifetime access to it. If you’re interested in joining ALLi you can find out more here. If you do want to join, go here ( full disclosure: this is my affiliate link). 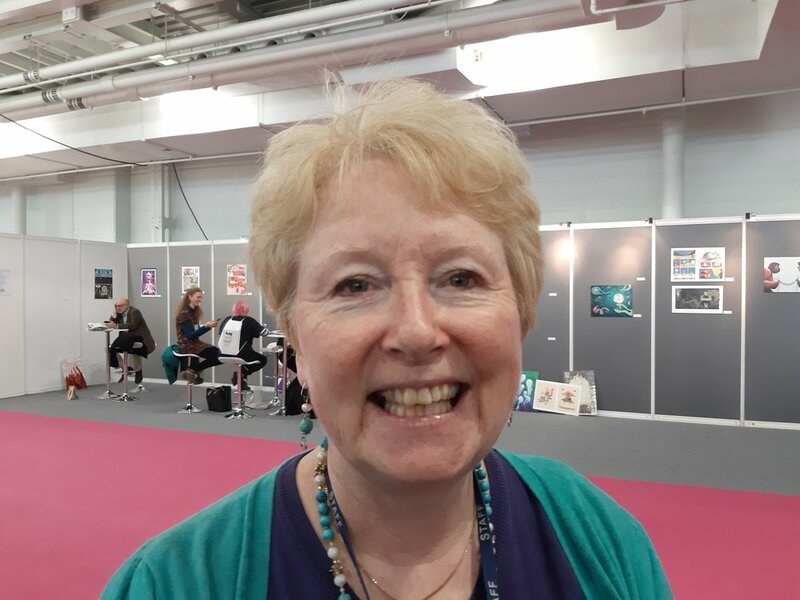 If you’d like to read about my very first visit to LBF go here. Gallery: First row - with Alison Morton and Debbie Young, the ALLi stand, Dr Alison Baverstock of Kingston University. Second row - Rohan Quine, with Carol Cooper, Dan Holloway and Selfie Prizewinner Jane Davis (see my last blogpost!) Third row - Orna Ross, the ALLi party after the Fair, with Orna. Struggling to make room for creativity in your life? Get my Creative Life-Audit Workbook! Copyright ©2019 Lorna Fergusson at Fictionfire. All rights reserved.